PING (Packet InterNet Groper) is TCP/IP Utility used to troubleshoot the network issues. It is a network diagnostic tool used primarily to test the connectivity between two nodes or devices. Ping is a command line tool, available in many operating systems, that you can use to test whether your computer or device can reach a destination computer through the network and/or the internet. 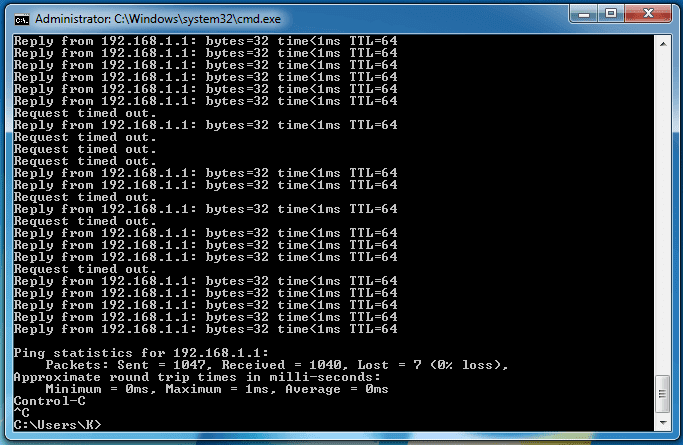 The ping utility is commonly used to check for network errors. It works by sending an Internet Control Message Protocol (ICMP) Echo Request to a specified interface on the network and waiting for a reply. It can be used for troubleshooting to test connectivity and determine response time. It a destination node, an Internet Control Message Protocol (ICMP) echo request packet is sent to that node. If a connection is available, the destination node responds with an echo reply. It’s actually slightly more complicated because when you ping something you actually send a whole bunch of these “PING” messages. You do this so you can average the results to get a more realistic measure of how long it took for the packet to reach the server. This can also be used to determine how stable your connection is, by measuring how many “PING” messages are dropped on sending. If the ping does not reach its destination due to an error or because it is being blocked, the sending computer encounters a request timed out an error or shows no received packets. When you see the ping reported in all kinds of apps, in networking tests like SpeedTest, or in online games, it refers to the time it takes for your PC to get a response to a ping command. This time is reported in milliseconds (ms), and it is an indicator of the speed of the reaction time of your internet connection or your network connection. The lower the ping, the better the reaction time. The ping utility was written by Mike Muuss in December 1983 as a tool to troubleshoot problems in an IP network. He was inspired by a remark by David Mills on using ICMP echo packets for IP network diagnosis and measurements. The author named it after the sound that sonar makes since its methodology is analogous to sonar’s echo location. The first released version was public domain software, all following versions were licensed under the BSD license.